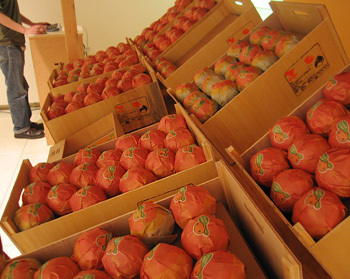 FRUIT takes up the challenge of elevating the ecological knowledge of consumers and encouraging a way of life that is friendly to the environment. We want consumers to be conscious of the entire life of a product, from production to utilization, and not just what they see in the stores. Consumers must be aware that every phase of a product's life influences the environment and ourselves. 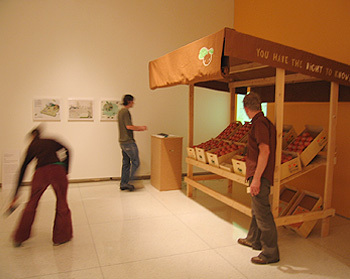 F.R.U.I.T wrappers, a website, and a traveling installation are part of an initiative to inform people about alternative food systems and local food movements. While cities are often seen as set aside from nature, we aim to investigate the agriculture which feeds urban dwellers. For Beyond Green, Free Soil will use oranges as a vehicle to explore the complex relationships that make up the worlds Food Systems.